Snapshot: The Delonghi Essenza Mini bundle EN85RAE is a capsule espresso machine with a heat-up time of 26 seconds and automatic turn-off function. 02 Mar 2019, Olwyn J. 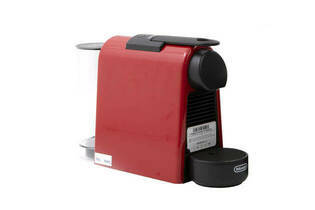 Compact, fast to heat, milk frother great for iced coffee. Easy to use. Got ours for $99 at a large chain store. Lots of capsule varieties. None. Only use Nespresso capsules of you will damage the inner workings.